During the 12 years I lived and worked in the USA, my job took me to many parts of the country that were off the beaten track. For that I must thank equally, the Bentley Drivers Club and Rolls-Royce Owners Club. They assiduously searched out interesting places to hold their annual meets, and I was fortunate to be invited as a guest each year. They were always looking for historic locations, which included great driving roads, and points of interest, because the members of both clubs do not treat their vintage Bentleys and Rolls-Royces as ‘trailer queens’. They like to get ‘em out of the garage and d-r-i-v-e. In 2002 the RROC decided to hold its annual meet at the Hot Springs resort in Virginia. This place is about as deep in the back woods of Virginia as you could find, but the accommodation was great, and the driving was stupendous. As witness to the interest in the location, that year's club meet resulted in a record turnout of both Rolls-Royces and Bentleys. 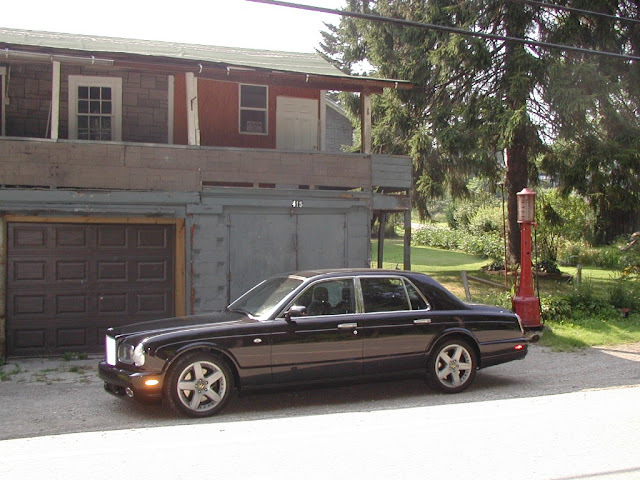 Of course, I was unable to field a vintage Bentley for the occasion, so I made do with a Bentley Arnage T.
The region afforded two wonderful views of the America I grew to love. 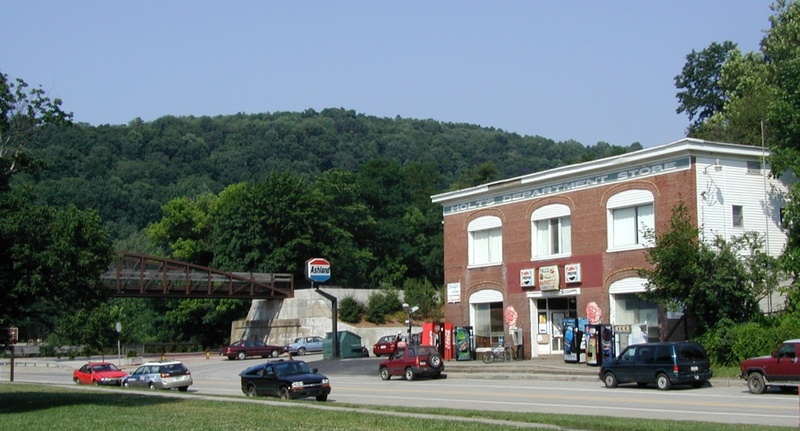 The Frank Lloyd Wright house, Fallingwater, and a typical small town, Ohiopyle. 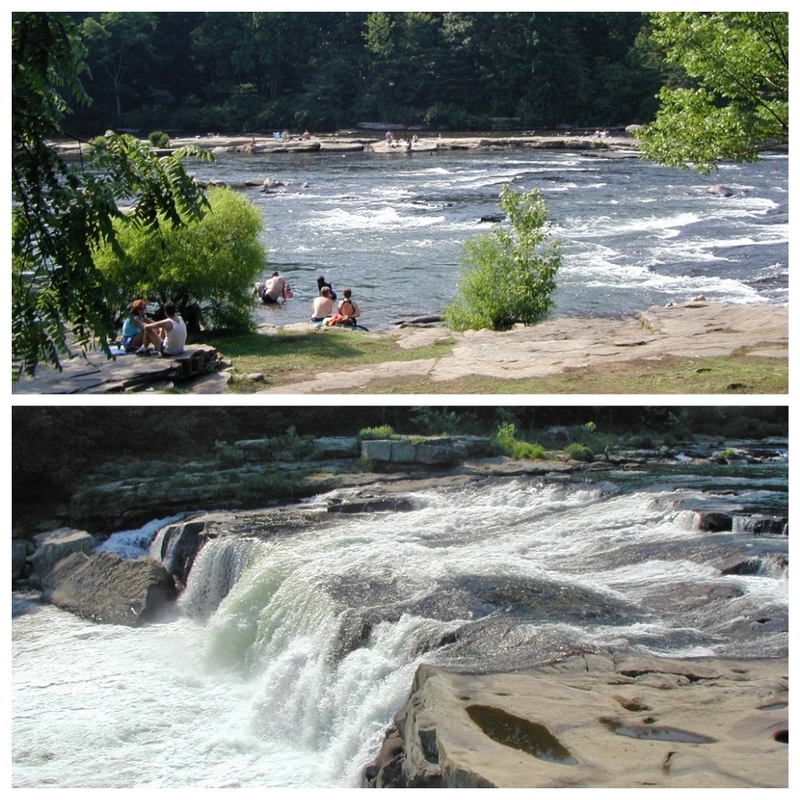 Ohiopyle is located on the banks of the Youghiogheny River, a popular spot for summer swimming and white water rafting. It’s also a look back at small town America. The centre of the village now boasts only one old building of any substance, the historic Holt’s Department Store – which is now a market. 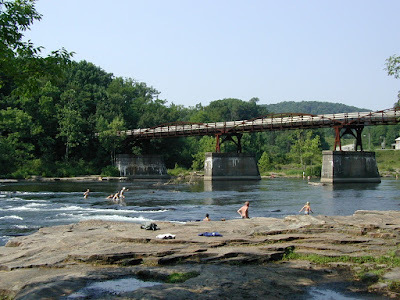 The railway no longer runs through Ohiopyle, so the railway bridge has been converted to a bridge for walkers, who hike the many trails around the town. When you come face to face with regular American citizens celebrating their small towns, and hiking the trails, it is a picture far removed from the view we get on the media of obese citizens downing fast food. You can also bet that these same citizens will be friendly, welcoming, and really interested in our Aussie background. Yes, parts of the USA can be pretty insular communities, but there are many who have travelled the world, and remain interested in the parts they haven’t yet seen – like Australia, which is high on many American bucket lists. 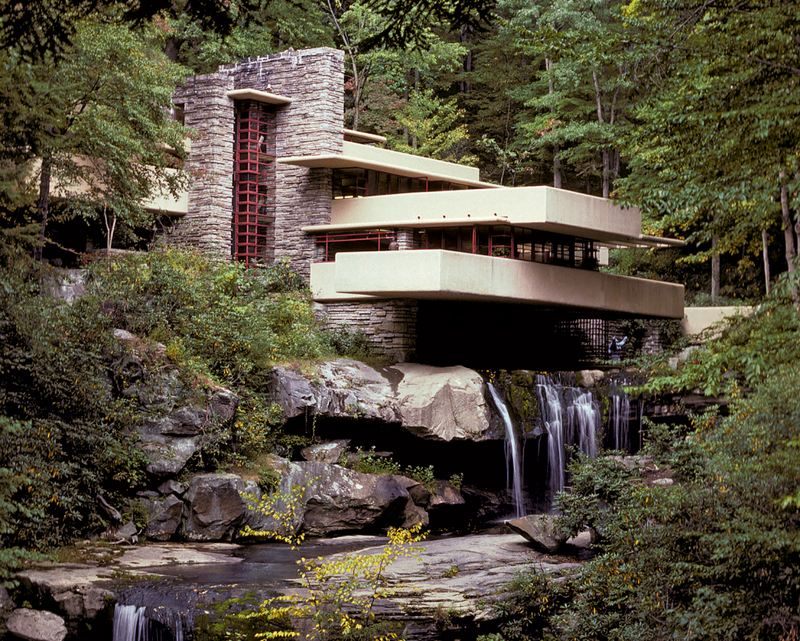 Just a few miles from Ohiopyle is the iconic ‘Fallingwater’ designed by the famous American architect, Frank Lloyd Wright. 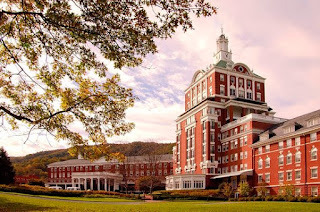 I had promised my wife that if we were to attend the RROC event in Hot Springs, we would drive to the event from Detroit and visit the famous architectural landmark. Faillingwater was built for Edgar Kaufmann who was the owner of a couple of big department stores in Pennsylvania, the biggest was in Pittsburgh. Kaufman was of German-Jewish extraction, and a man grateful to have opportunities in America to invest his energies in his potential. 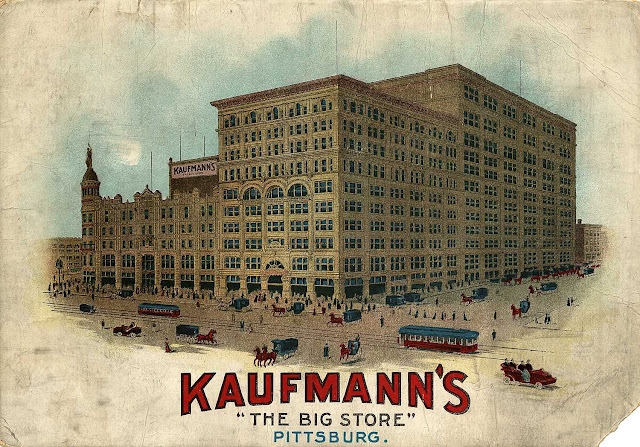 Edgar Kaufmann became not only a magnate, but a bountiful philanthropist, endowing many worthy causes with the profits from his stores. 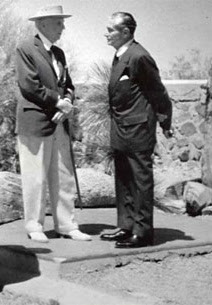 Frank Lloyd Wright did not have an 'easy ride' with his client. Kaufmann would drive down from Pittsburgh every weekend to inspect the construction, and then have lengthy phone conversations with Wright about elements he wanted changed. 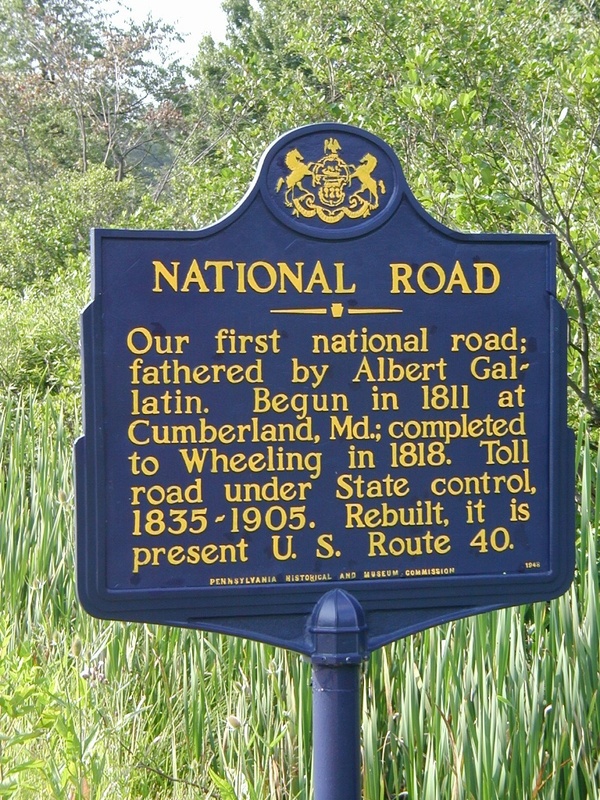 It's said Wright was grateful when the project was finished. 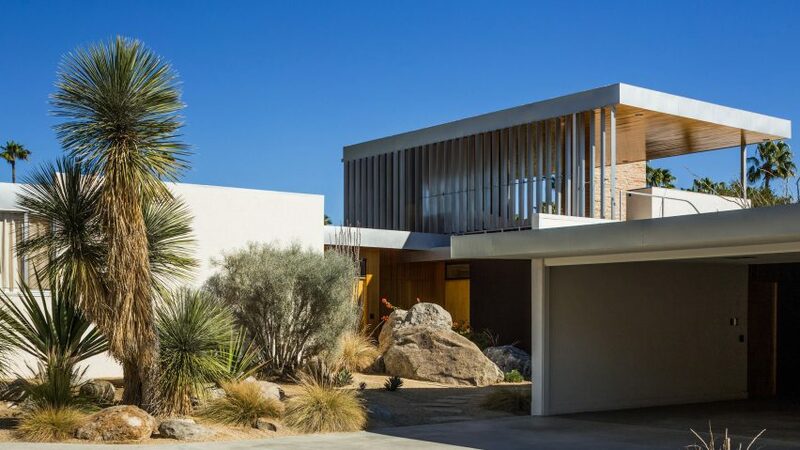 When the cold of Pennsylvania winters became unbearable, he moved to Palm Springs, California, where he engaged another famous American architect, Richard Neutra, to design him a house – now known, of course, as the Kaufman House. Both Fallingwater and the Palm Springs house are monuments to mid-century modern architecture, and further evidence that immigration introduced people to the USA who brought with them sophisticated and adventurous tastes, gradually promoting greater exploration of architectural style in the land of opportunity. It is these triumphs of integration, differences and variety that we should celebrate in America today. Not division, insularity and fear. I look back on those great car club events each year as another reason why we should all seek to travel and widen our horizons. 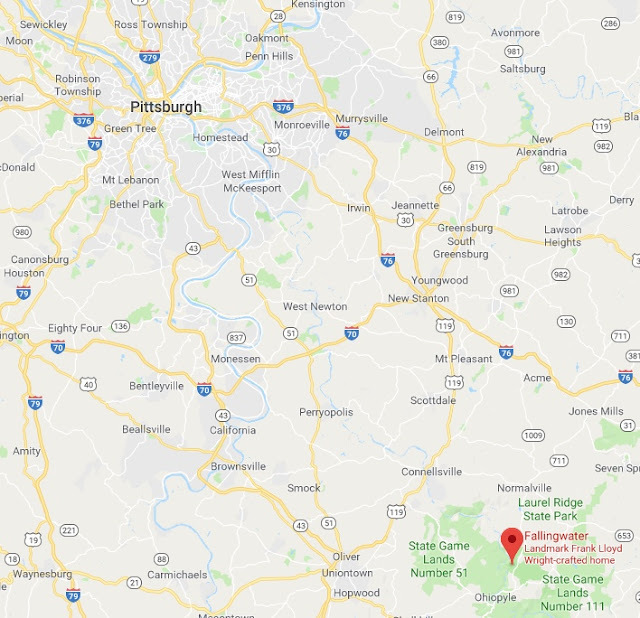 TRAVEL NOTES: As the maps show, Fallingwater is closest to Pittsburgh, Pennsylvania, but the most interesting route to follow is Route 51 to Route 70, then to Route 76 from New Stanton to Route 1009/711 to Fallingwater. The drive captures beautiful countryside, farms, woodland and open fields, but most of all it’s traffic free – the best way to enjoy America’s back roads.